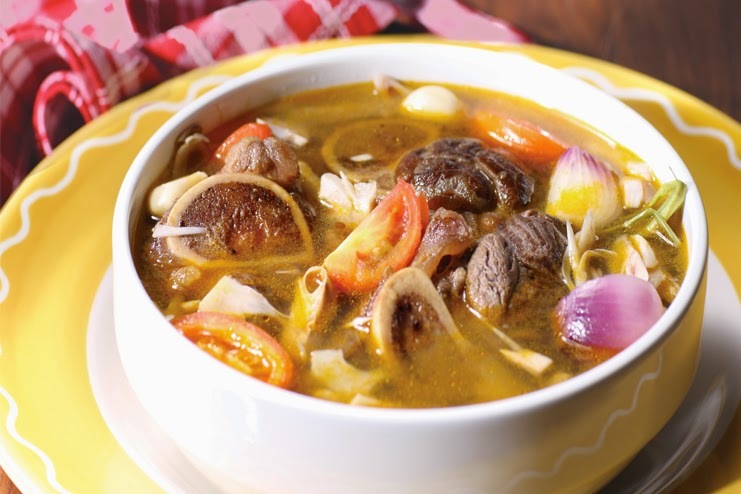 Kansi is Iloilo’s version of bulalo but with a delightful hint of sourness that’s great during rainy days. This hearty soup is a must try. 1. Combine oil and annatto seeds and heat for 2 minutes over low heat. Strain and discard seeds. 2. Season beef with MAGGI MAGIC SARAP. In a heavy bottom pan, add annatto oil and sear both sides until golden brown. Remove seared beef and set aside. 3. Sauté the garlic, onion, tomato and lemongrass in the same pot. 4. Put the beef back and pour the 4 cups of water and simmer while covered until beef is tender (approximately 2 hours). Add more water as needed. 5. When beef is almost tender add the unripe langka. Simmer until langka is tender, about 20 minutes. 6. Add MAGGI MAGIC SINIGANG Original. Simmer for 5minutes. 7. Check seasoning and serve hot.